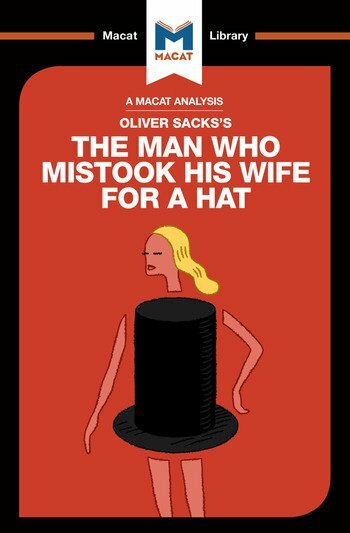 In The Man Who Mistook His Wife for a Hat, neurologist Oliver Sacks looked at the cutting-edge work taking place in his field, and decided that much of it was not fit for purpose. Sacks found it hard to understand why most doctors adopted a mechanical and impersonal approach to their patients, and opened his mind to new ways to treat people with neurological disorders. He explored the question of deciding what such new ways might be by deploying his formidable creative thinking skills. Sacks felt the issues at the heart of patient care needed redefining, because the way they were being dealt with hurt not only patients, but practitioners too. They limited a physician’s capacity to understand and then treat a patient’s condition. To highlight the issue, Sacks wrote the stories of 24 patients and their neurological clinical conditions. In the process, he rebelled against traditional methodology by focusing on his patients’ subjective experiences. Sacks did not only write about his patients in original ways – he attempt to come up with creative ways of treating them as well. At root, his method was to try to help each person individually, with the core aim of finding meaning and a sense of identity despite, or even thanks to, the patients’ condition. Sacks thus redefined the issue of neurological work in a new way, and his ideas were so influential that they heralded the arrival of a broader movement – narrative medicine – that placed stronger emphasis on listening to and incorporating patients’ experiences and insights into their care. Dr Dario Krpan holds a PhD in Psychology from the University of Cambridge. He is currently a Fellow in Behavioural Science at the London School of Economics.